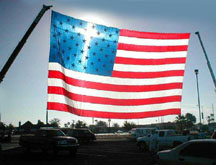 O God our Creator, from your provident hand we have received our right to life, liberty and the pursuit of happiness. You have called us as your people and given us the right and the duty to worship you, the only true God, and your Son, Jesus Christ. Through the power and working of Your Holy Spirit, you call us to live out our faith in the midst of this dysfunctional and chaotic world, bringing the light and the saving truth of the Gospel to every corner of society. Posted in Prayers on August 22, 2013 by Dennis Mallon.